2. Mainly used in pencil-making, graphite emulsion for welding rod burden of graphite axle, raw material of battery carbon rod. 3. Mainly used in Coating in casting refractory material, dye electrode compound, Carbon Raiser/Carbon additive/Carburizer and so on. 4. It is known as excellent thermal and electrical conductivity, which is twice that of carbon steel and 100 times that of most nonmetal materials. It is also excellent lubrication and plasticity. 5. With stable chemical properties and corrosions resistance of acid, alkali and organic solvent, graphite has been widely used in modern industries as the fireproof material, electric conducting material, antifriction material, in foundry, during molding, pressing die and high temp metallurgy, and with the function to prevent scale from buildup in boilers. 6. 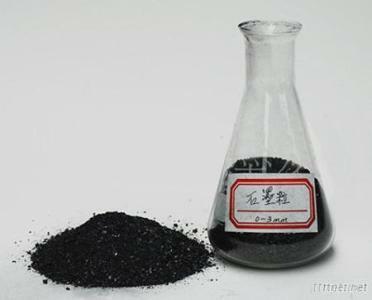 In addition, graphite can prevent rusts on metal chimney, building roof, bridge and pipeline. 3. Adjust the carbon content. 4. Expandable Graphite has features of good expandable, and its products have the Features of high temperature resistance, hot insulation, lubrication and chemical stability. 5. It has no dust nuisance while feeding the material. 6. It can speed up the reaction.